Get the Best in Plumbing! Hiring a plumber in Puyallup can be an expensive venture, especially if you end up with an amateur that isn’t sure what they’re doing. Some unscrupulous plumbing companies use questionable business practices such as purposefully forgetting materials so they can charge you more for the job. Others don’t try to gouge you intentionally, but instead, lack the experience to pinpoint and solve a complicated issue and may end up costing you much more than someone that could hone in at the point right away. At John’s Plumbing & Pumps, Inc, we know what we’re doing. With over 60 years of experience working on plumbing in Puyallup, we’ve had plenty of practice working on both residential and commercial plumbing systems, so call us for anything! Sewer line repair. 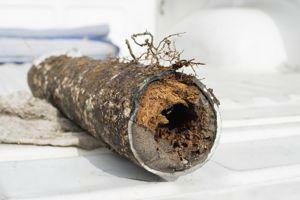 It’s essential that the sewage system for your property is doing its job correctly. Not only is sewage dirty with a terrible smell, but it’s also the highest category of water damage there is, meaning that it is highly contaminated and could cause serious illnesses. Repiping. One of the most substantial jobs you can have done is to get parts of your plumbing replaced with new pipes, known as repiping. If you have older pipes or your plumbing starts acting oddly, it might mean that it’s about to give out. Let us come by and take a look to see if it’s time for a repipe. Well pump replacement. If you live on a private water system and are unfamiliar with how your specific well functions, simply finding the components can be a challenge. But fortunately, you aren’t alone. Our experienced plumbers will come to your property and can do everything from basic repairs to well pump replacements. Our methods are always improving! At John’s Plumbing and Pumps, we aren’t content with staying as is. 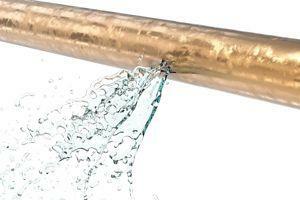 We always want to improve and seek out the latest and best methods to fix common and unusual plumbing problems. This includes methods for drain cleaning such as hydro jetting, less intrusive main line replacement methods, and much more! When you have a major issue with your plumbing in Puyallup, it can’t afford to wait. One of the best ways to mitigate water damage is to stop it as soon as you can. But if you don’t know how to do that, where can you even begin? Waiting days for a solution while you have a burst pipe deluging your floors would be a catastrophe that could cost thousands of dollars to fix; not to mention all of the items you’d have to replace! If this happens at an inconvenient time, you don’t have to wait for the convenient regular business hours to get it fixed. Simply call us up, and we’ll send someone over right away for emergency plumbing in Puyallup. You can count on us!